The use of low cost materials increases the cost. PhB interviews the President and CEO of M.S. Jacovides Hellas S.A. on the obstacles, challenges and possible ways of addressing effectively the medical technology market issues in Greece. The first challenge for bringing back the much desired market growth is for Greece to gain international credibility, stated Mr. Aristocles Jacovides, President and CEO of the M.S. 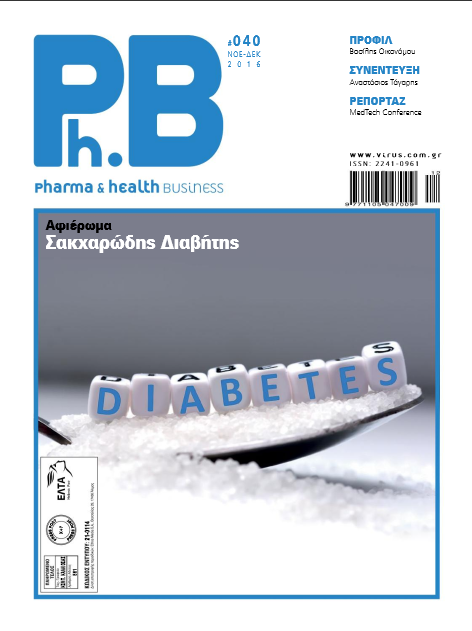 Jacovides Hellas SA, a company that has been operating for more than 35 years in the medical devices sector in Greece, to PhB. Basic prerequisites for achieving this aim are to acknowledge the role and support of entrepreneurship, provide stable and clear business operation rules, rationalize and consolidate the tax system as well as accelerate timely justice. Mr. Jacovides notes that, nowadays, the medical technology market in our country is stagnant and back to its pre-2000 levels falling short today at approximately 50% of the actual market needs. Regarding public hospital procurement, he points out that the use of low cost -quality medical devices, eventually increases the cost of healthcare and financially burdens the state budget as well as patients. As he stresses, it is practically prohibited to introduce new and innovative products in Greece and thus the healthcare system and patients do not benefit from the important, global developments and innovation in the medical technology. The complete interview given by Mr. Aris Jacovides can be found in the PhB magazine.